The remains of the Russian A321. 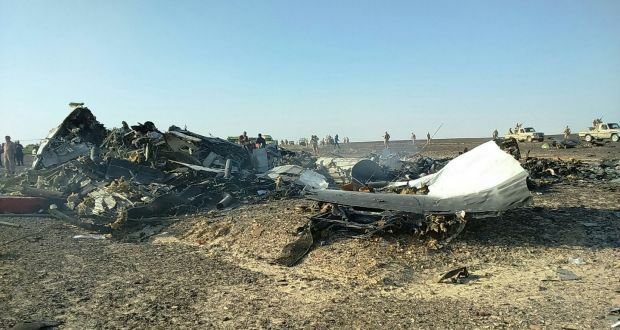 On Tuesday Russia confirmed that a bomb took down a Russian jet shortly after takeoff above the Sinai Peninsula in Egypt just over two weeks ago, killing all 224 passengers on board. Islamic State of Iraq and Syria (ISIS) claimed responsibility for the attack by releasing written, audio and video statements online. ISIS said they brought the plane down in retaliation for Russia’s deployment of its military in Syria. Putin responded to the news by declaring the incident as one of the bloodiest acts in modern Russian history whilst ordering the Russian air force to intensify its air strikes in Syria and offering $50 million for any information leading to the capture of the people responsible for the attack. The majority of tourist flights to the Egyptian region have been suspended since the crash due to security concerns that a member of airport staff may have been able to plant the bomb onboard.